Yesterday Microsoft Azure services took a big leap forward by announcing their fully managed Cloud based NoSQL Database Service named as “DocumentDB” which will run under Azure Cloud Computing Platform. NoSQL database is a different category of database where you have no schema defined for records. Essentially every record may have same or very different number of attributes (i.e. columns). Each record can have nested attributes (in traditional RDBMS this is done by Normalizing Entity into Multiple Tables). OK enough to start with NoSQL .. you can Bing it to find more..
DocumentDB uses proprietary In Memory technology called Hekaton for very fast query. DocumentDB is fully managed service under Azure Platform …means no deployment .. no hassle… Everything is managed by Azure Platform behind the scene for you. DocumentDB is fully accessible via .Net SDK, PHP SDK, Python SDK, Node.js .. All of them are open source. You may access DocumentDB using simple RESTful HTTP Calls in any programming language without any SDK. Pay as you go model…. 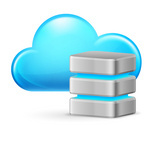 makes it possible to try NoSQL technology in few clicks. Fully scalable.. easily add or remove Compute units as needed. 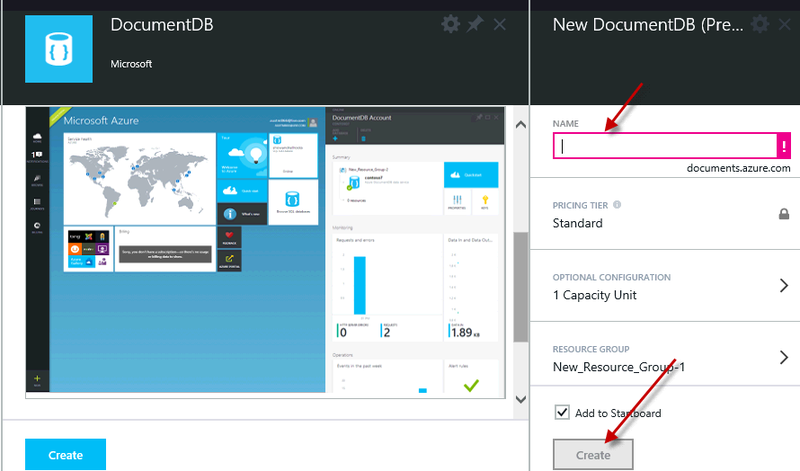 DocumentDB is in Preview and you can try it now and learn more about it. 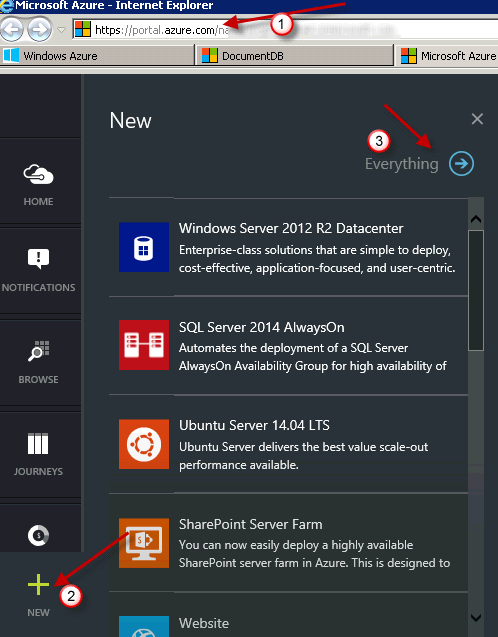 Right now DocumentDB is only available under Azure Preview portal (This is new Azure Portal which is under Preview). Classic Azure Portal (Old version) doesn’t list DocumentDB yet. Click on Everything and expand to to see all categories. 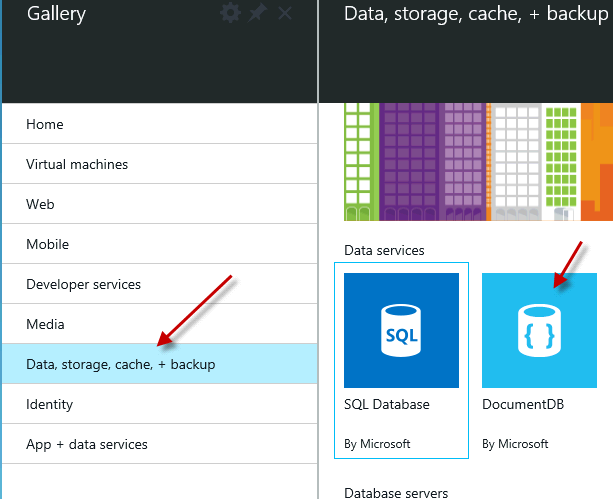 Once done hit create and wait for a min or so… This will DocumentDB for you. Here is sample query examples which you can submit to your DocumentDB. This is very unique feature to Microsoft NoSQL offering. Most of NoSQL database I worked doesn’t allow to write SQL like query…. This is awesome!!! ‹ How to fix – Exception has been thrown by the target of an invocation – VS2012 VS2010.